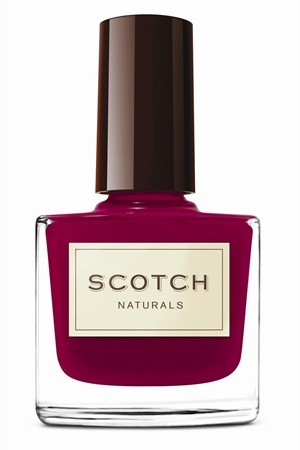 An alternative to conventional solvent-based nail polish, Scotch Naturals WaterColors produces no noxious fumes or odors and delivers long-lasting, salon-quality color without yellowing of the nails. Scotch Naturals is “three-free” as well as free of ethyl acetate, butyl acetate, nitrocellulose, acetone, and heavy metals. 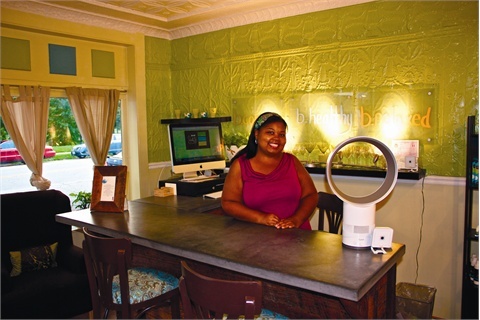 “The polishes wear well,” says Kenya Butler, manager of Juste B An Organic Nail Bar in Baltimore, which features the brand. “They come in a great selection of colors and the consistency is very much like conventional nail polish. In general, I believe that the better hydrated your nails are the better water-based colors last.” Butler is also a fan of Scotch Naturals’ Soy Polish Remover. “We transitioned to their remover exclusively because we found it the best in removing conventional and water-based colors,” she says. Designed with the health-conscious refined woman in mind, Scotch Naturals are available in sophisticated colors and come beautifully packaged in a square bottle reminiscent of a bottle of fine scotch. For more information, go to http://www.scotchnaturals.com/.